Ares Games will publish and distribute worldwide a starship combat miniature game based on the Battlestar Galactica™ TV series, including both the “Classical” and “Reimagined” settings. Created by the same designers of the popular “Wings of Glory” and “Sails of Glory” game systems (Andrea Angiolino and Andrea Mainini), the Battlestar Galactica – Starship Battles game will be first presented to the public at Gen Con 2018 (August 2-5, Indianapolis). Release date has not been announced yet. 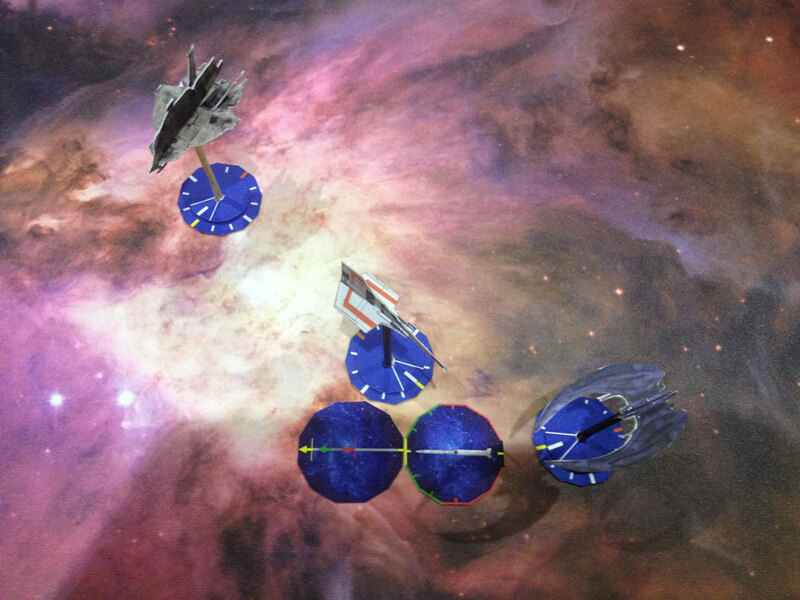 Battlestar Galactica – Starship Battles will feature ready to play, painted and assembled miniatures, with a special base to support its unique game mechanics. Players will take control of one or more Colonial and Cylon ships, and face each other in furious dogfights and many other different kinds of missions. The game will feature innovative mechanics allowing players to simulate space combat using simple and intuitive rules to imitate the unique dynamics of the battles in the TV show. The “Battlestar Galactica” license agreement with Universal Brand Development includes both the classic series, created by Glen A. Larson in the late ‘70s, and the re-imagined series developed by Ronald D. Moore and David Eick which aired until 2010.